Well, looks like all the excitement (and panic) over the race for Congressional District 29 has subsided as current and former officeholders who contemplated running for the seat decided to either run for re-election to their respective seats, or, go in a different direction. State Reps Armando Walle (140) and Carol Alvarado (145) have decided to run for re-election. Both have served for multiple terms and are considered leaders at the Capitol who will be needed to take on an expected right-wing onslaught of bigoted bills. Of course, both may also be thinking of the free-shot at running for SD-6 without the need to resign if/when Sylvia Garcia is elected to Congress, which we’ll know after the Dem Primary since the district usually goes Democratic in November. Former Sheriff Adrian Garcia has also decided to go in a different direction and challenge right-winger Jack Morman for County Commish Pct. 2, which covers East Harris County. As much as Adrian Garcia and I have debated on some issues, I’ve always been a fan of his. I think he can run hardest toward November, as well as excite the electorate to vote down-ballot. Harris Democrats have been updating a page containing folks running for judicial positions. There are a few candidates in contested races that I’m supporting, including Rabeea Collier for the 113th District Court; Fred Cook for the 189th District Court; and Raul Rodriguez for County Criminal Court #13. I’ve known Rabeea for over a decade, which is most of her legal career. We both organized in the Kingwood/Humble area as activists trying to increase the Democratic bottom line. As an activist, she has worked hard to turn Harris County blue. As an attorney, she zealously represents her clients. She has put in the sweat equity over the years and deserves to be our nominee. Fred Cook first ran for judge in 2008 in a very contested race in which Judge Steven Kirkland was the victor. I supported Fred back then and we both supported Kirkland afterwards. When I heard he was running again, I felt it was about time. Raul Rodriguez has run for positions at different times, while also putting in time volunteering in various activities. I mean, whenever I go to something in the community, Raul (and wife Pati) are there! Raul deserves to be our nominee in November. He’s experienced and has a sincere connection to the community. There will be more to come as more candidates file, especially the statewides. I’m hoping Sheriff Lupe Valdez of Dallas files for Governor, otherwise, I won’t be left with any good choices and I may just skip the race entirely (or hold my nose in November). And I really hope Little Brown Trust Fund Baby gets a challenge for Land Commish. HOUSTON, TX – Senator Sylvia Garcia is asking the public for help with collecting supplies for the thousands of women and children refugees who are detained in South Texas after seeking asylum from violent conditions in Central America. In the Rio Grande Valley where many of the refugees are entering the United States, a group of non-profits have formed a coalition called, South Texas Refugee Response, to provide women and children with basic necessities while they are being processed by Border Patrol. The supply drive will be held from July 30th to August 15th. Women’s Walking Shoes (sizes 6-7), Men’s Walking Shoes (sizes 7-9) Children’s Walking Shoes, Backpacks, Sweaters/hoodies (small/medium sizes for adults and children), Women’s Clothing (sizes 0-8), Women’s Deodorant, Sippy Cups, Pedialyte, Newborn Nido (zero) formula, Hairnets, Soup Bowls, Disposable Spoons, Clorox, Mops, Lysol, Large Trash bags, Ziploc Bags (various sizes)Women’s Bras (32-34 cups, A, B, C) , Women’s Cotton Underwear (sizes 7 and under) Children’s Cotton Underwear. My great neighbors at the Meyerland Area Democrats have announced that they will hold yet another informative meeting. 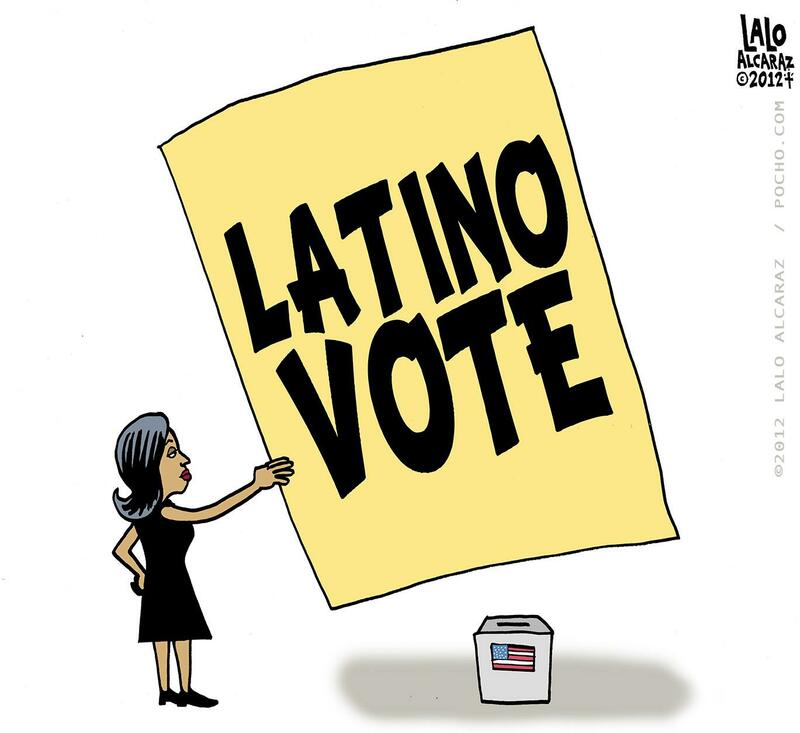 The war on the Voting Rights Act is definitely in progress and MALDEF is among the groups defending against those who would deny American citizens the basic right of voting. Here are the details of the event. I hope to see you there! Click on the link to RSVP. Our August 19th meeting will feature Mexican-American Legal Defense and Education Fund Counsel Celina Moreno. Special guest State Sen. Sylvia Garcia will also appear to give a brief overlay of the war on voting rights in Texas (should special session matters dictate she may not make it). Moreno will discuss the most critical issue facing minorities and all of us in Texas: the right to vote. She will explain the current landmark court case MALDEF is part of in federal court in San Antonio. This lawsuit seeks to remedy the maps from redistricting which currently deprive minority voting strength. She will explain the new landscape for the Voting Rights Act, as the Roberts court has struck down the heart of this essential law, and what MALDEF is doing to protect voters. Most importantly Moreno will inform us of new tools we will be able to use to stop disenfranchisement. Attorney Celina Moreno analyzes legislation and advocates for the protection and promotion of Latino civil rights in the areas of political access, education, immigration, employment and access to justice for that Region. Ms. Moreno has testified in numerous state legislative hearings on issues ranging from public school finance reform to immigrant rights. Prior to joining MALDEF, Ms. Moreno served as an attorney and Equal Justice Works Fellow at Texas RioGrande Legal Aid (TRLA), where she directed the organization’s School-to-Prison Pipeline Project, seeking to obstruct the forces channeling students from schools into the juvenile and adult criminal justice systems. Celina Moreno received a Bachelor’s of Journalism from the University of Texas at Austin, a law degree from the University of Houston, and a Master’s of Public Policy from the Harvard Kennedy School. Dinner is at 6:30 p.m. and the meeting starts PROMPTLY at 7 p.m. There is no charge to attend, but attendees pay for their own food and drinks. We meet at Fadi’s Grill, 4738 Beechnut Houston Tx 77096! It was quite disappointing to hear that two of my favorite stores, Kroger’s and Macy’s, lobbied and sent a letter to Rick Perry asking him to veto the Equal Pay bill passed by a bipartisan Texas Legislature. Rick Perry responded by vetoing the bill. The bill, authored by State Senator Wendy Davis and State Rep. Senfornia Thompson, would have given legal standing to women who are paid less for doing the same job as a man. Progress Texas is asking Texans to sign a petition and to join a boycott of Kroger’s and Macys until they reverse their position on the Texas Equal Pay Law. Your opposition is infuriating. It is shameful that while you are busy convincing Moms and Millennials to spend money on clothes and lunch boxes at back-to-school sales, you are advocating behind their backs to deny women equal pay for equal work. In response to the news of Macy’s involvement, State Senator Sylvia Garcia (Senate District 6) cancelled an appearance at Macy’s in the Galleria which would have commemorated the 2013 Back to School Sales Tax Holiday. “While I strongly support the tax free weekend that allows parents struggling to provide clothing and supplies for their children before they return to school, I was dismayed to learn that Macy’s and Kroger would oppose equal pay for equal work. As a co-sponsor of the legislation and supporter of equal rights, I am supporting the call to boycott until these stores reverse their position and declare their support for equal pay, ” stated Senator Garcia. Standing among over 1100 women’s rights activists, I’m sure I wasn’t the only one cheering on Wendy Davis and some of my favorite State Senators while also thinking about what the hell the Republicans were doing in Austin at the same time. Whether it is Laubenberg, et al’s downright lies about caring about women and what they now term the “pre-born” or what else is to come from Dewhurst and the Republicans in the Senate later this week, boottom line, as much as we were fighting for women’s rights, yesterday’s rally at Discovery Green was also about gassing up our campaign bus for a real statewide campaign in 2014. 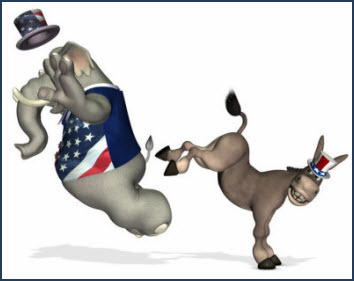 Whether Democrats reach that campaign potential is still to be seen, but there is no doubt that the Senators on stage last night, as well as those in the House who have stood up against the Republicans on behalf of women, have shown us that we have a strong bench of prospects–that’s if they want to take on what would be an enormous feat in 2014. Yes, I’m a realist, but I’m one of those dangerous realists who would take a chance, anyway, rather than simply sit back and wait. 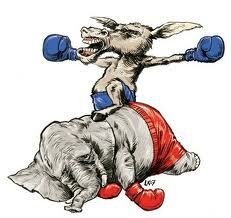 Nothing gives energy to dormant voters than candidates willing to stand up and fight. Anyway, if you weren’t at Discovery Green last night you missed an energetic rally. And as someone who got to play the part of “media” last night, the energy was definitely there–from the people and the politicians. I hadn’t felt anything like it in a long time, and, it is safe to say that, these kind of events need to happen for multiple issues during the next year-and-a-half. Thanks to PDiddie and Kuff for some great posts, to which I have linked above. The SWTW Bus Tour stops in Dallas and Fort Worth today. For all my friends up in the Metroplex, be there! Vote for Sylvia! * Vote for Sylvia! * Vote for Sylvia! That’s all one needs to say after all has been said and done (and TV advertised) these last couple of months. More importantly, if you vote in SD-6, find your polling location and VOTE on Saturday!! Today marks one year since I moved inside the Beltway into a radically different area of town than where I lived for 10 years (from Kingwood to Sharpstown). I miss Kingwood, our Democratic activists, and the work we did to push Democrats forward. I haven’t gotten as involved as I’ve wanted to be in my new area of town, but perhaps this next year of living here will see me more involved. One thing is for sure, my commutes are much shorter, the cultural offerings are greater, I get to live a few miles from my mom’s senior facility, and I definitely feel at home. It helps to have Democratic elected officials, too! I’m looking forward to another year in my neighborhood.